Philly Beer Week 2013: Thank You! 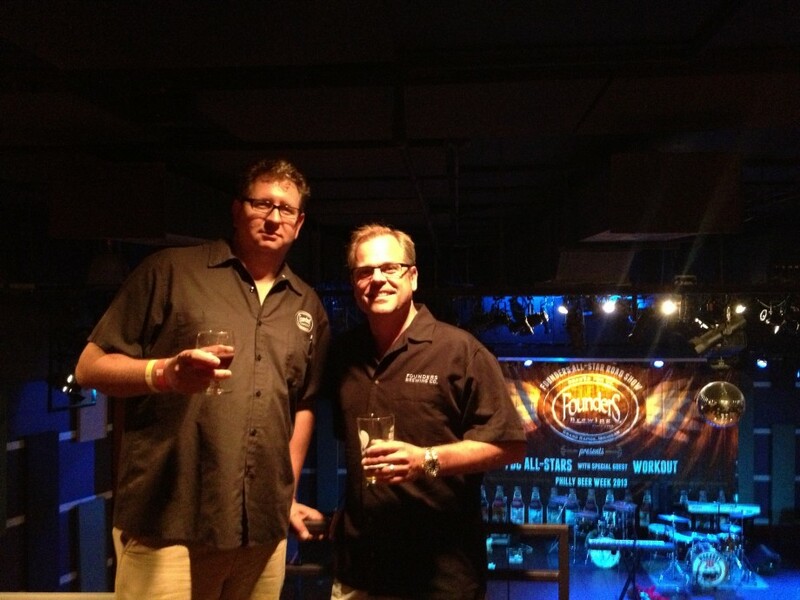 - Founders Brewing Co.
Philly Beer Week 2013: Thank You! Posted on June 11, 2013 by Founders Brewing Co.
A huge thank you to the people of Philly for showing Founders such a great time during Philly Beer Week 2013! 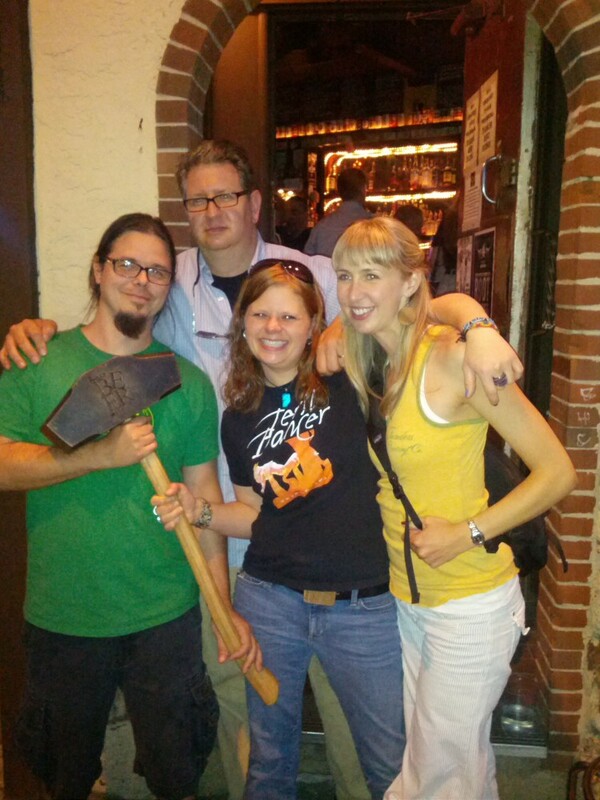 Brewmaster Jeremy Kosmicki, Co-Founder Dave Engbers, Brewer Laura Houser and Events Coordinator Christina McDonald with the Hammer of Glory (HOG) at the P.O.P.E. 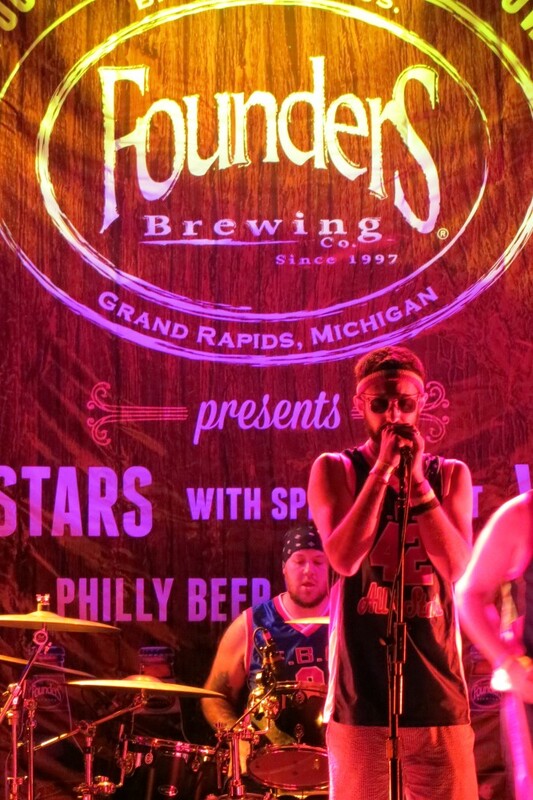 Our brewery band, the FBC All-Stars, had a great time playing their first show on the road at World Cafe Live along with Workout! We hope to do it again.